Britain outlined its proposals Wednesday for close security cooperation with the EU after Brexit, but these risk being undermined by the bloc's refusal to share sensitive data on the Galileo satellite project. Prime Minister Theresa May has called for a deep trade and security relationship with Brussels after Britain leaves the European Union in March 2019, and hopes to have a deal agreed in principle by October. A document presented to the European Commission last week and published on Wednesday outline plans for a treaty on internal security and models of cooperation on foreign policy and in defence operations. 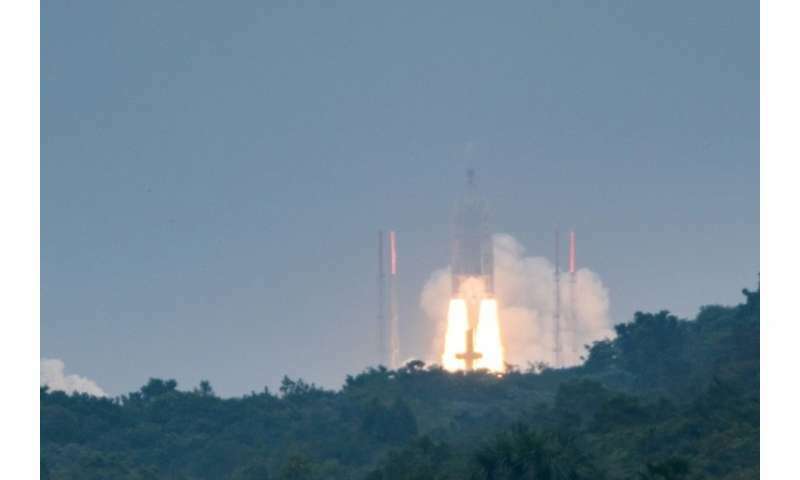 But officials have been taken aback by Brussels' decision to deny London access to encrypted signals from the EU's Galileo satellite navigation system, citing legal issues about sharing sensitive information with a non-member state. Britain played a major role in developing the £9 billion (10 billion euros, $12 billion) project, an alternative to the US' GPS which is expected to be fully operational in 2026. Being frozen out due to security concerns could have implications for the rest of the partnership, the government document warns. "The arrangements for any UK cooperation on Galileo are an important test of the depth of operational cooperation and information-sharing envisaged under the security partnership," it said. It demands continued British access to the secure signal and a right to compete for contracts. Britain is looking into developing its own, separate system if the EU maintains its position, and has also raised the question of Galileo's use of Britain's overseas territories as monitoring bases. The Times newspaper meanwhile reported Wednesday that the government is looking at ways to ban British-based technology companies from transferring sensitive information overseas. Elsewhere, the document set out plans for a new treaty allowing Britain to continue using EU internal security measures such as the European Arrest Warrant, participate in agencies such as Europol, and continue the swift and secure exchange of data and criminal records. Britain also wants to agree ways to allow it to contribute to EU defence missions on a case-by-case basis, as well as defence research projects and defence planning. It points to the common threats faced by all European countries, from terrorism to illegal immigration, cyber threats and aggression, which has been blamed for a March chemical weapons attack in the English city of Salisbury.